As of 2015, the state of Pennsylvania had nearly 12.8 million people. To protect their life and property, there were nearly 27,570 police and sheriff officers in the state and recruitment is still ongoing. If you are among the people who are interested in knowing how to become a police officer in Pennsylvania, here is all the information that will be of help to you. The first thing you would need to decide upon is whether you want to work for the municipal police departments or become the state law enforcement agent. These are the two types of Pennsylvania police officers careers you should look into in great detail, since the regulations and training methods for these vary as well. In addition to personal requirements and educational criteria, individuals applying to become police officers in Pennsylvania need to clear certain background checks. They will need to show a completely clean criminal record and pass a polygraph and drug screening test. In addition to that, they will also need to clear an extensive interview which will judge their capabilities to work in this field. Any applicant who has a felony record or repeated misdemeanors will be disqualified automatically. Being of a high moral character and understanding the general ethical criteria is also very important when applying to any field in law enforcement. Being a police officer is a mentally and physically strenuous task. Therefore, the department would require you to meet certain medical and psychological requirements, before you can become a Police Officer in Pennsylvania. All recruits are required to pass the Nelson-Denny Reading Test, along with the MMPI-2, which is a computer administered personality assessment test. After this, you will be put through a psychological evaluation test conducted by a licensed psychologist. After clearance of these assessments, candidates will be required to carry out a medical examination. If they are given the green signal here, they will then be eligible to take the required agility and fitness tests. These officials are responsible for taking care of traffic concerns, and responding to crime scenes. 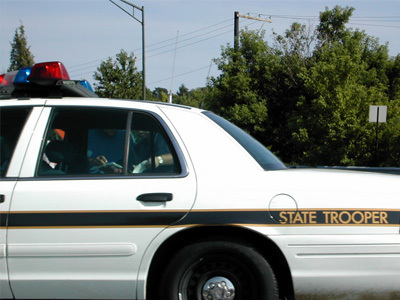 People looking to become a trooper in Pennsylvania would be required to fulfill the basic medical, psychological and educational requirements, along with the completion of a training program lasting nearly 27 weeks. There are 67 counties in the state of Pennsylvania and each county has its own elected sheriff. The training and certification process for sheriffs is overseen by the Pennsylvania Commission on Crime and Delinquency and the Sheriff and Deputy Sheriff Education and Training Board. In addition to completing the basic medical, educational and background check requirements, applicants for the office of sheriff will be required to complete a basic training program of around 760 hours. This comprehensive training program would expose applicants to a variety of topics such as civil law and procedure, criminal justice, anti-terrorism training, patrol procedures, ethics training, etc. According to this data, people applying to become police officers in Pennsylvania are certainly making a wise choice. According to this data, most police officers in the country are being employed at the local level, with state government coming in at the second place. The highest annual mean salaries earned are by the state government hired police officers.